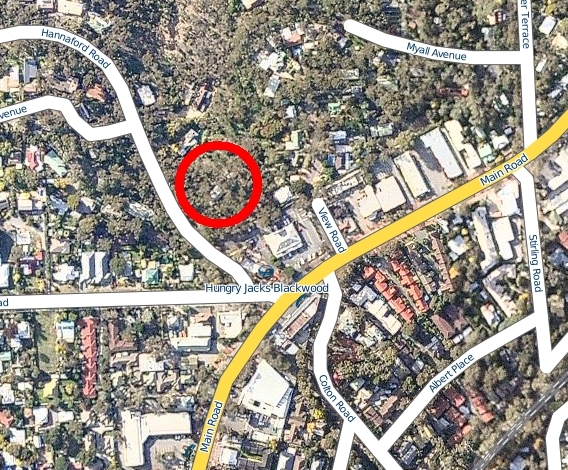 Today I contacted the South Australian Lands Titles Office, Department of Planning, Transport, and Infrastructure, and also the SA Legal Services Commission, and queried them re the legality of access to privately owned land which has a trig point situated on it. I had heard rumours that if there was a trig point, then the land owner was required to allow access to the public to the trig point. So today I sought some official clarification on the South Australian perspective. Firstly, what is a trig point ? 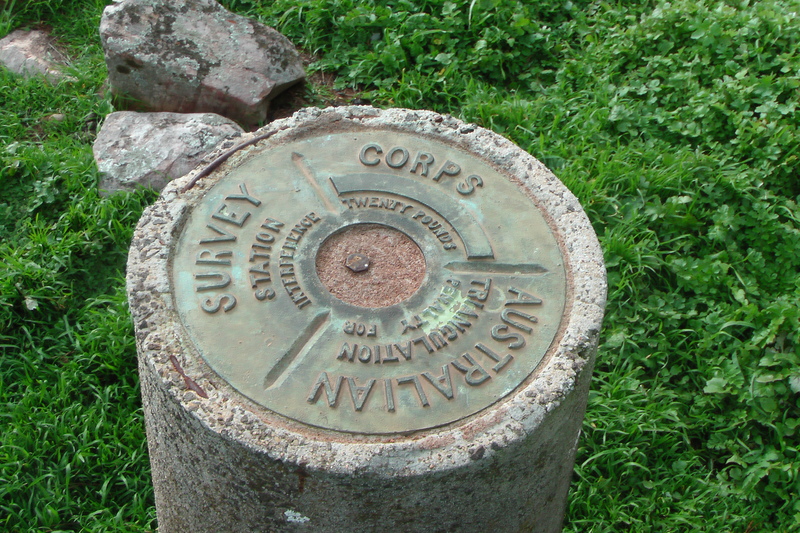 Trig points, sometimes called Trig Stations are hilltop survey marks. They are so called because trigonometry is used to calculate their positions. Their full and correct name is Trigonometric Points of Stations. 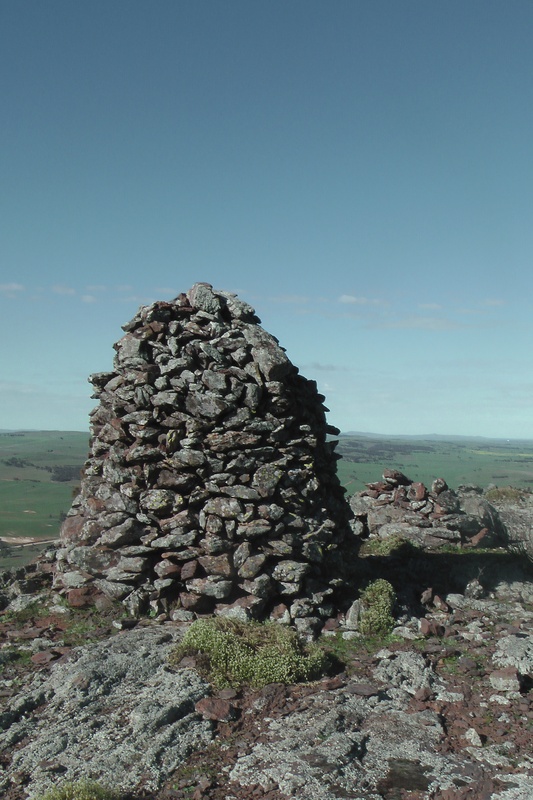 In Australia, trig points consist of a permanently marked point on the ground, and usually have a beacon or a cairn of rocks directly above them so that the trig point can be seen from a distance. Trig points are known as trigonometrical stations in North America, triangulation pillars in the UK, trig beacons in South Afirca, and trig points or stations here in Australia. Trig points are built on the most prominent geological formation in the surrounding countryside so that they are visible for many kilometres. By sighting two or more trig points, and then taking a compass bearing, surveyors can accurately determine their position on a map when plotting boundary lines of property, etc. The early explorers of Australia plotted their position by observations of the sun and stars and related this to visible landmarks such as prominent hills, rivers or local settlements. However, as the colony of Australia expanded, so did the need for accurate maps. In the early days, trig stations consisted of a brass plug which was fixed into concrete. It had a large cairn of rocks erected over the top of it, and a pillar with metal vanes standing upright over the mark. To access the brass plug, surveyors ere required to dismantle the cairn and then reassemble it afterwards. 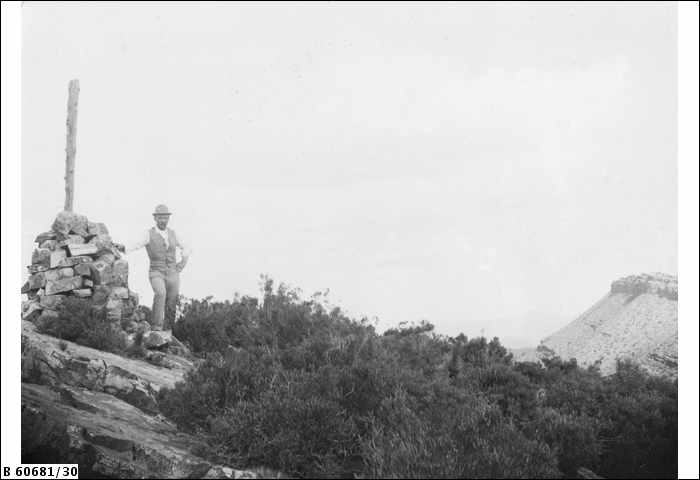 A man standing beside the trig, Mt Samuel, Flinders Ranges, S.A. c. 1898. 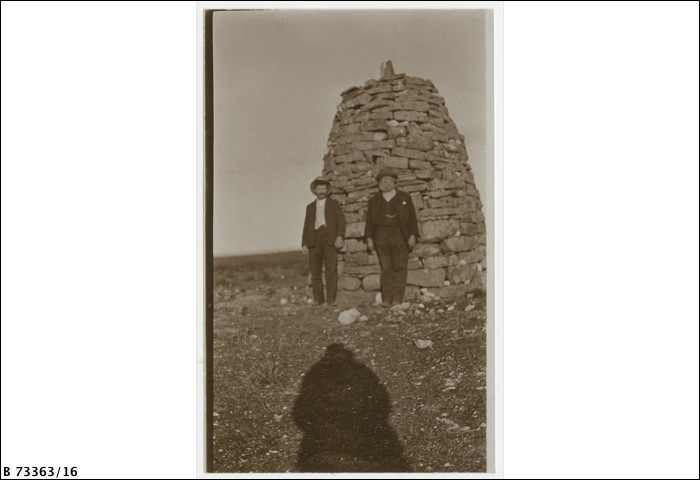 Photo courtesy of State Library, S.A.
Two men standing beside the trig, Mt Wudinna, SA, c. 1911. This resulted in a concrete pillar version which has a solid concrete foundation and a pillar which is about 1.3 metres high. It has a vane on the top which can be removed by surveyors to access a threaded spigot on top to mount survey equipment such as theodolites, Electronic Distance Measuring devices, and GPS antennas. I have noted in my SOTA travels, that many trig points are in dire need of some tender loving care. Apparently this is a national trend, from what I read on the internet. With all the modern technology available such as Global Navigational Satelite Systems (GNSS) and Continuosly Operating Refernce Station (CORS) networks, trig stations are become less relevant to surveyors. Governments are loath to spend money as the upkeep required on trig stations has proved to be unmanageable. There is an excellent resource on the Queensland Govt website, entitled ‘Surveying history’…..
And another one entitled, ‘Life of the surveyor in the field’…. 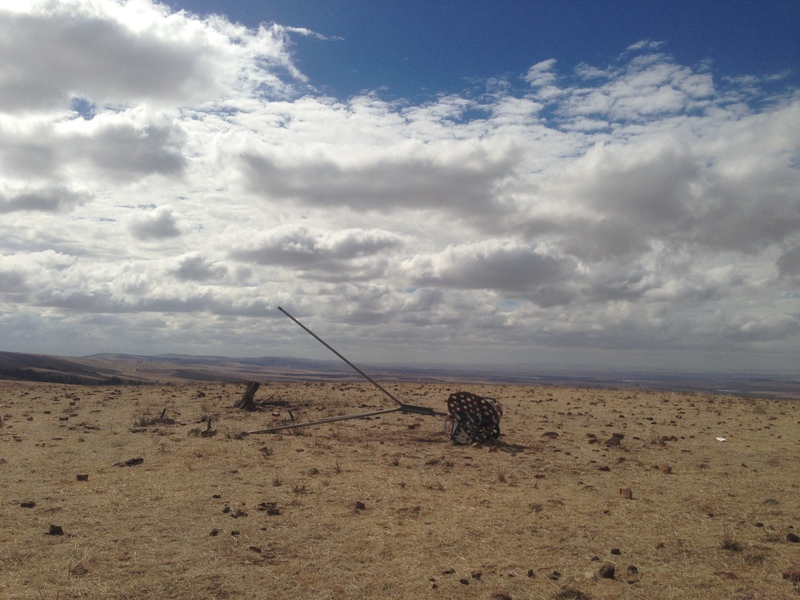 And should you wish to view where all the trig points are in South Australia…check out the map at the DPTI website, at the following link….. Going back to my original question about access to privately owned land which has a trig point on it……….Under the Survey Act 1992, land surveyors have the right to enter onto private land to access trig points. The Act states that a survey mark is…..
(b) a permanent survey mark. Section 46 of the Survey Act 1992 states…..
(b) take such action as is necessary to enable the survey to be carried out effectively (including excavating or breaking the surface of land to the extent necessary to uncover or place a survey mark). It is also an offence under the Act to hinder or obstruct a person in the exercise of a power conferred by the Act. So, the rumours are INCORRECT ! You cannot enter land that has a trig point on it, unless you have the permission of the land owner. In England, there is the freedom to roam, or everyman’s right. This relates to the general public’s right to access certain public of privately owned land for recreation and exercise. In both England and Wales, public access rights apply to certain categories of mainly uncultivated land—specifically “mountain, moor, heath, down and registered common land.” Developed land, gardens and certain other areas are specifically excluded from the right of access. Agricultural land is accessible if it falls within one of the categories described above. Some other European countries have similar rights of access. Here in Australia, we have no such rights of access. 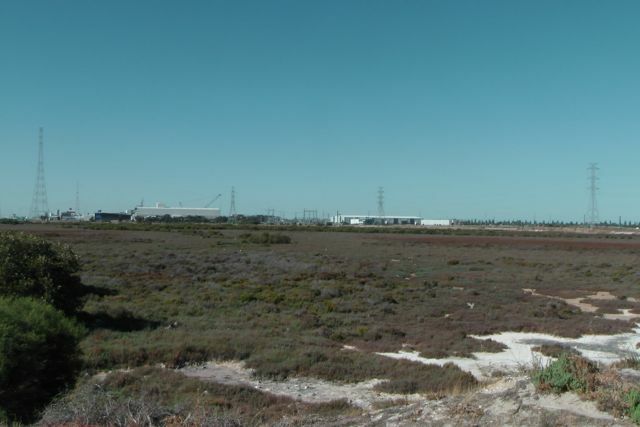 There are some exceptions to access across privately owned land here in South Australia. 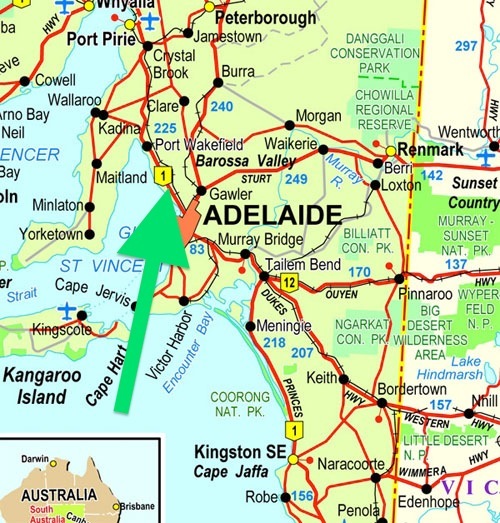 This includes the Heysen Trail, which is a long distance walking trail (1,200 km) stretching from the Flinders Ranges, via the Adelaide Hills, to the Fleurieu Peninsula. Part of the trail traverses private property. However this access would be documented and possibly included as right of way in the Title. Section 17 of the Summary Offences Act 1953 of South Australia states…..
the trespasser is, if he or she fails to leave the premises forthwith or again trespasses on the premises within 24 hours of being asked to leave, guilty of an offence. 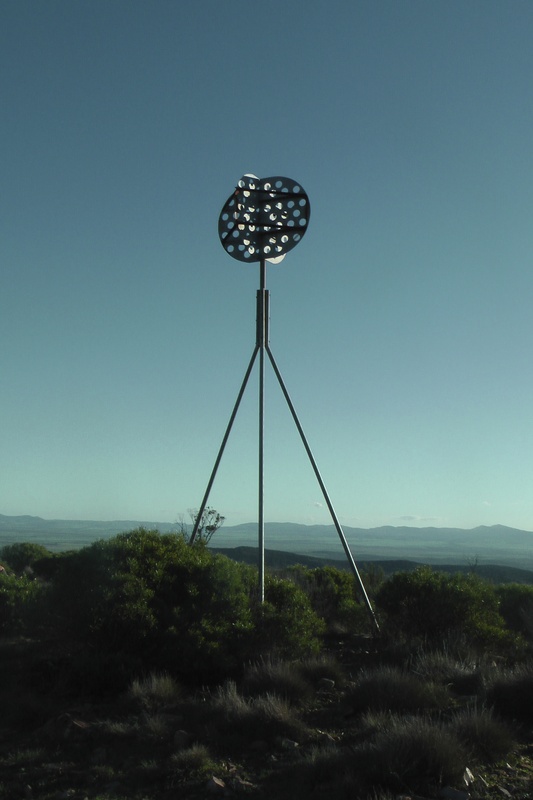 Today I was doing a bit of research on trig points in South Australia, and I found a really neat website, which I hope you also find interesting. It is called ‘Place Names Online. South Australian State Gazetteer’. It can be found at….. The Gazetteer is a database of place names in South Australia. The general aim of the database is to record of any place name that is, or has been used, in South Australia. Associated with each name is up to 38 fields of information relating to feature type, classification, location, derivation and cross-reference to current, previous and alternative names. 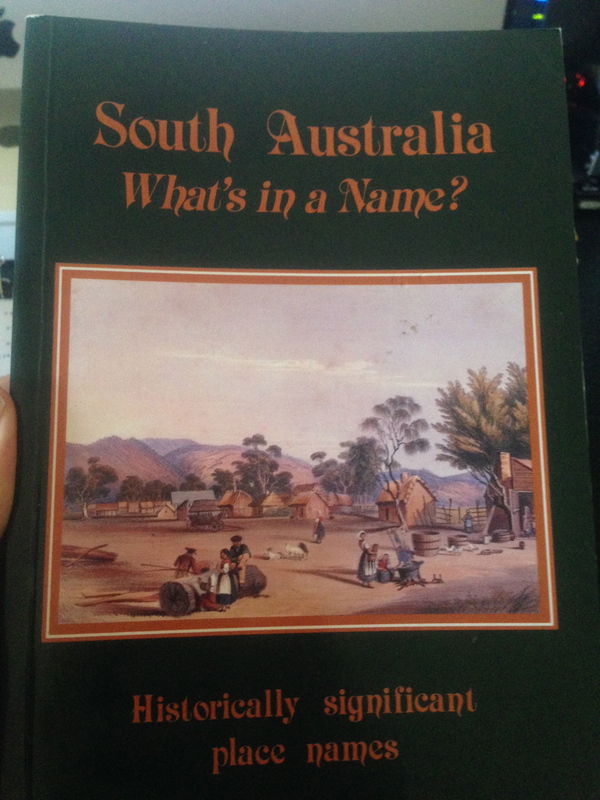 I have a great book here as well called ‘South Australia. What’s in a Name?” written by Rodney Cockburn. It is the third edition and seventh printing of Rodney Cockburn’s book which was first released in 1908. It contains the origins of the names of nearly 4,000 of South Australia’s cities, towns, islands and other geographical features. 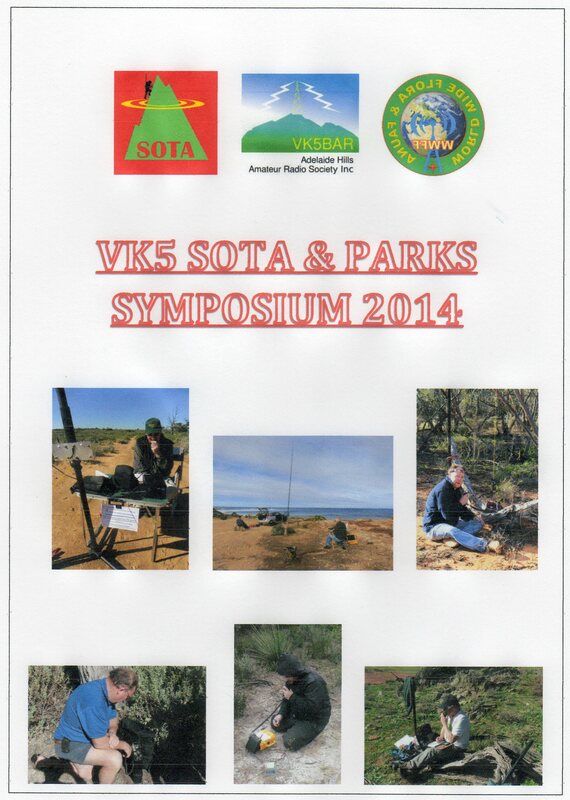 On Sunday 9th March, 2014, there will be a VK5 SOTA & Parks symposium, which is to be held at the Guides Hall / AHARS shack, at Hannaford Road, BLACKWOOD. The doors will open at 8.30 a.m. and the symposium will officially commence at 9.00 a.m. by the AHARS President. This will be followed by a number of guest speakers, who will give talks on a variety of aspects of SOTA, parks awards, and portable operation. There will be morning tea, and the presentations will complete at 12.40 p.m. and a BBQ will follow. A ‘donation’ of $4.00 would be asked for the cost of morning tea (tea, coffee, cake, biscuits), and the BBQ which will include bread & salads. If you do intend to attend, please RSVP to me prior to 1st March, 2014, so that I can arrange suitable catering. Please find attached the program…..
0830–0900……….Doors to venue open. Mingle with the crowd/introductions. 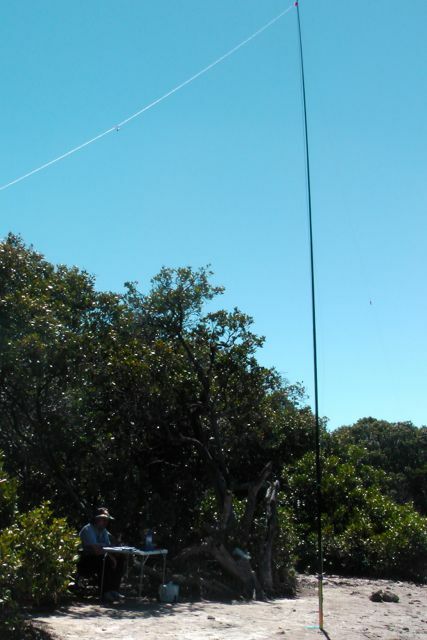 On Saturday morning, I eagerly awaited the first of a number of SOTA activations. I was sitting on 2,976 Chaser points, and was hoping to get across the 3,000 point line. 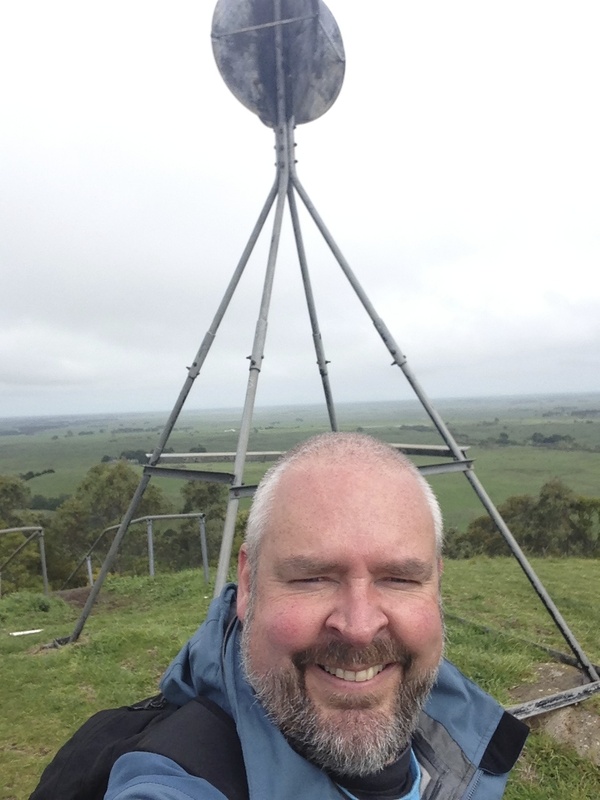 My first contact of the day was with Nick VK3ANL who was on an un-named summit, VK3/ VC-032, which is situated north of Ballan. Another 4 points to the tally. I then worked Nick another two times during the day, whilst he was on Mount Warrenheip VK3/ VC-019 and then Mount Buninyong VK3/ VC-018. Nick activated 4 summits that day. Great effort Nick. 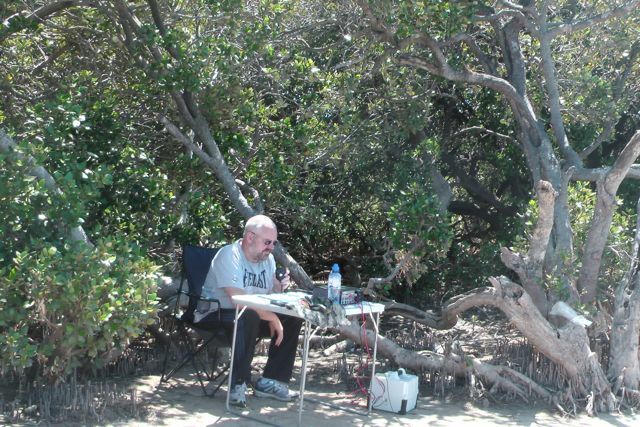 I then saw a spot for Hans WN6E W6/ CT-026 on 15m and decided to have a listen. And to my surprise, there he was, with a good signal (5/5). So I gave Hans a call and got through first time with a 5/1 signal report received. 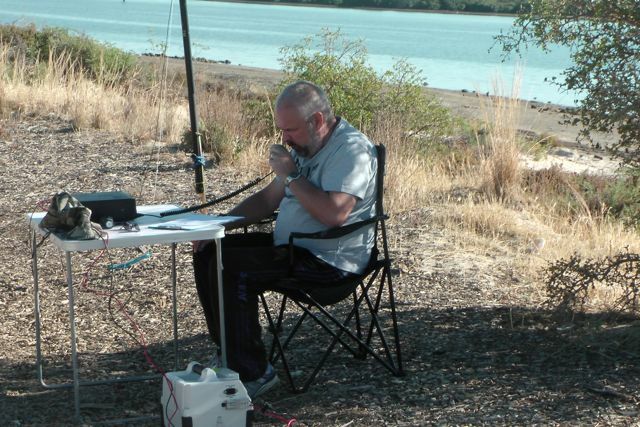 I then worked Phil VK2FPJR who was on un-named summit VK2/ IL-006, in the Illawarra region of NSW. This took me to 2,992 points. And then thanks to Rod VK2TWR, who was on VK2/ SM-036, a 10 pointer, I nudged over the 3,000 point mark. I went on to work a further 17 SOTA activators that day and ended up with 3,097 SOTA Chaser points. What was really enjoyable this day, was to get VK2 SOTA activators in the log. It has been a real slog the past 6 months with the VK1 & VK2 Activators on 40m. 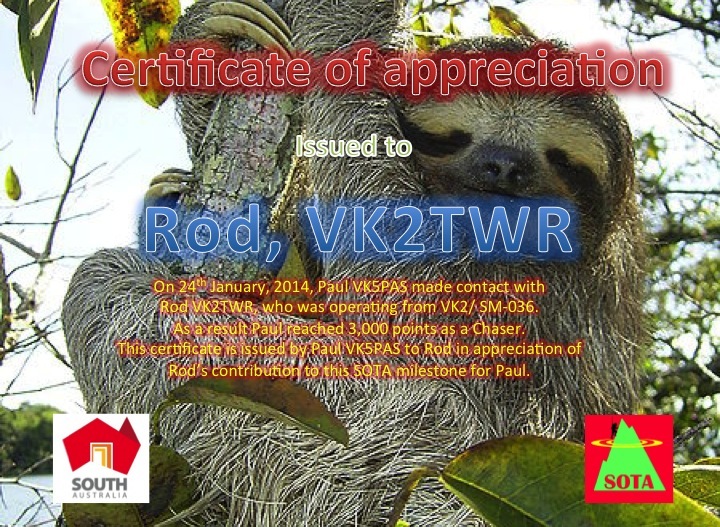 I have printed out & mailed off a certificate for Rod VK2TWR, just to say thanks. 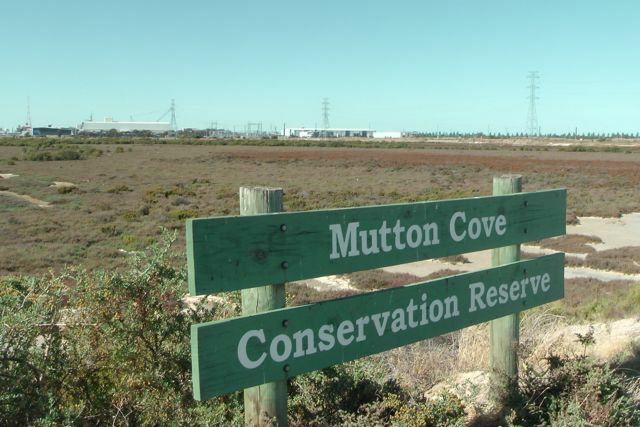 My second activation for the day was a confirmed Conservation Park, the Port Gawler Conservation Park. Marija and I headed off the LeFevre Peninsula and along the Port River Expressway, and then north on Port Wakefield Road. We then turned left onto Port Gawler Road, and headed west towards the coast of Spencer Gulf. As we were travelling towards the park, it brought back a lot of fond memories. When I was a child, I often went to Port Gawler with my grandfather and went ‘raking’ for Blue Swimmer crabs. Grandpa came to live with us when I was just a young boy, following the death of my Grandma. And Grandpa was a keen crabber and he & I would often drive to Port Gawler beach in his old Hillman Hunter to go crabbing. 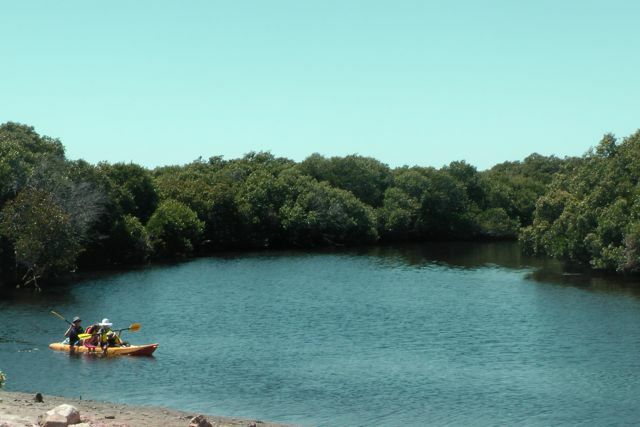 Port Gawler Conservation Park consists of vast tidal flats and fringing mangrove forests that are crossed by a multitude of tidal channels. 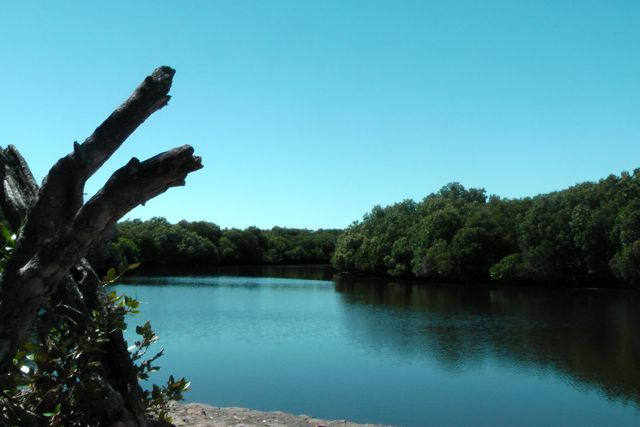 Shell-grit ridges occur along a well-defined belt within the mangrove forest. I remember well, that each time we visited the park all those years ago, we would always bring back a bucket of shell grit and cuttlefish. A that time my Dad was a breeder of finches and parrots. The birds loved the shell grit and cuttlefish, which were also a source of calcium. 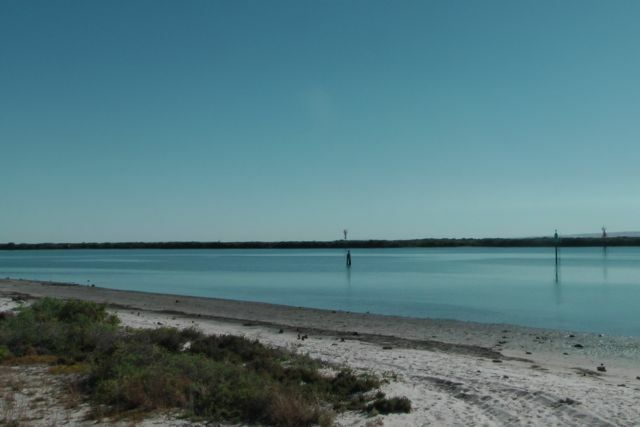 The Gawler River, which has its source over 40 km to the east, flows through the park and forms a long, narrow estuary at Port Gawler. Fish can be caught in the River, including Bream & Mullett. 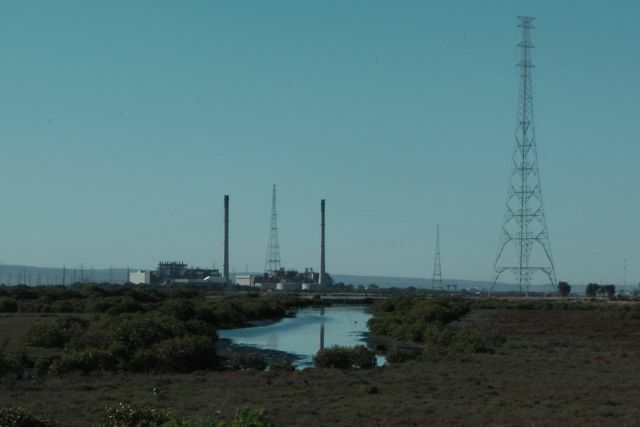 As we drove along Port Gawler Road, the sounds of off road vehicles and motorcycles became louder and louder. There are a few Off Road Parks in the area, and sadly the area is also used as a bit of a dumping ground for rubbish. 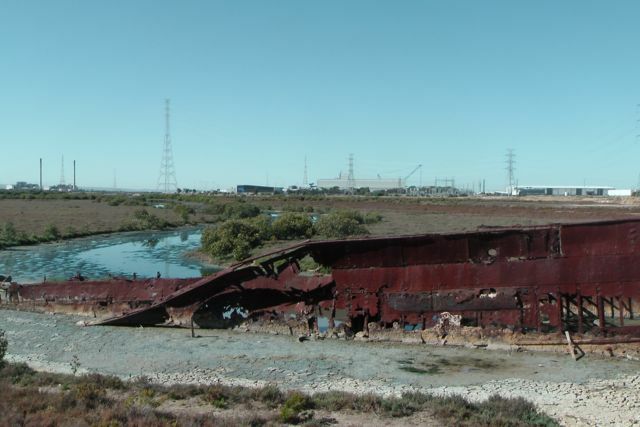 I found the following article in the local newspaper which shows that this is an ongoing problem…..
Plans to build a settlement at Port Gawler at the mouth of the Gawler River estuary, commenced in 1869. Below is a map dated 23rd March, 1869 from the South Australian Lands Department. It is signed on behalf of the surveyor-general, Mr George W. Goyder and his Excellency Sir James Fergusson, Governor of South Australia. 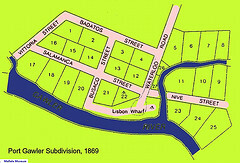 It shows that Port Gawler was subdivided into various allotments with the street names, named after the Spanish campaign of General Wellington (of Waterloo fame). In 1869, the ‘Lisbon’ wharf and Waterloo Road were constructed with a grant of £6,000 made to the District Council of Port Gawler. In its heyday, Port Gawler was an extremely busy place. Cargoes of grain and various other produce were loaded onto ketches that were able to sail into the wharf across the sand bar at the mouth of the creek at high tide. 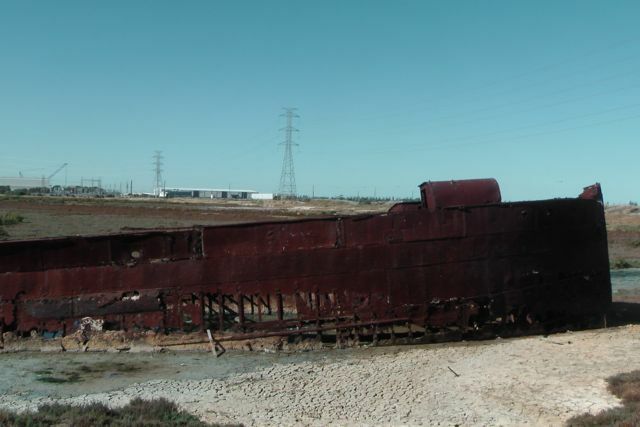 It is reported that between December 1874 to November 1875, about 295 boats were loaded at Port Gawler. The final cargo to leave the port was a shipment of strainer posts to the Peninsula in 1920. However the arrival of the railway made the use of the port obsolete. Following this, the blocks within the township were sold to prospective speculators, and the majority of those were reverted to the Crown due to unpaid taxes. The final ‘freehold’ blocks were held until 1960. Very little now remains of what was once a very important port. Marija and I drove to the very bottom of Port Gawler Road, where there is a parking area and a small shelter. The shelter was a welcome sight, as the weather had really warmed up. At least there was a spot that we could park the car, and Marija could remain in some shade while I activated the park. The carpark was really busy, so this was out of the question to erect the antenna. 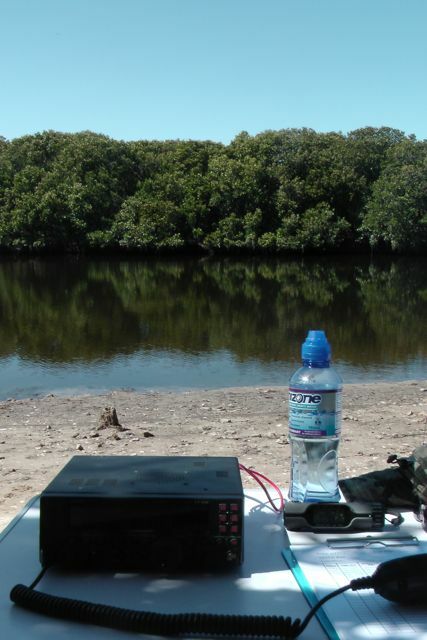 We set up the gear just to the south of the carpark, where I found some shade under some mangrove vegetation on the shore of the Gawler River. I was only about 10 feet from the water. I brought along the Yaesu FT-450 for this action, and ran about 30 watts, into the 40m/20m linked dipole. The squid pole holder for the 7m squid pole, was easy to push into the tidal sand. My first contact in the park was with Ian VK1DI who was portable on SOTA peak, Pheasant Hill, VK1/ AC-021. Ian’s signal was quite low down, only 5/2. However, because the noise floor at Port Gawler was so low, I was able to hear Ian perfectly. Not a bad start…a SOTA contact. Following my QSO with Ian I went up to 7.100 and put out a CQ call. First taker was the ever reliable John VK5BJE from the Adelaide Hills. John’s signal was not as loud as I expected. A good 5/8, but I expected louder. I received a 5/4 from John. My VSWR was up a little high for this activation, for whatever reason. But it wasn’t that high that it should affect my signal that much. Col VK5HCF then called in from Mount Gambier and gave me a 4/3 signal report. And this was followed by Brian VK5FMID, also from Mount Gambier, who also gave me a rather poor report of 4/4. This prompted me to look at the antenna quickly before the next QSO. The alligator clip links appears okay. Marija had accidentally stepped on the coax at Mutton Cove, and I started to wonder whether some damage had been done, and that was the reason why the VSWR was up a bit, and why signals were down a bit ? But then Larry VK5LY from Renmark in the Riverland gave me a call, with a beautiful 5/9 signal. And I received 5/8 back from Larry. Larry advised that he couldn’t even hear me when I was in Mutton Cove. Now I started to think that it was just propagation conditions. They had been so good 90 minutes earlier at Mutton Cove, and had obviously taken a real step backwards. John VK2AWJ from Gol Gol in New South Wales, came up to say hello. John’s signal was a solid 5/8 with no QSB. Obviously the propagation gods on 40m were playing with the band. And to prove this, I had some interesting VK3 contacts. I spoke with Phil VK3BHR from Bendigo who was 5/5 and I received a 5/8. But just 15 minutes later I received a call from Ron who was stronger at 5/7 but I only received a 3/3 report back from Ron. Ron reported that there was a lot of QSB on my signal. 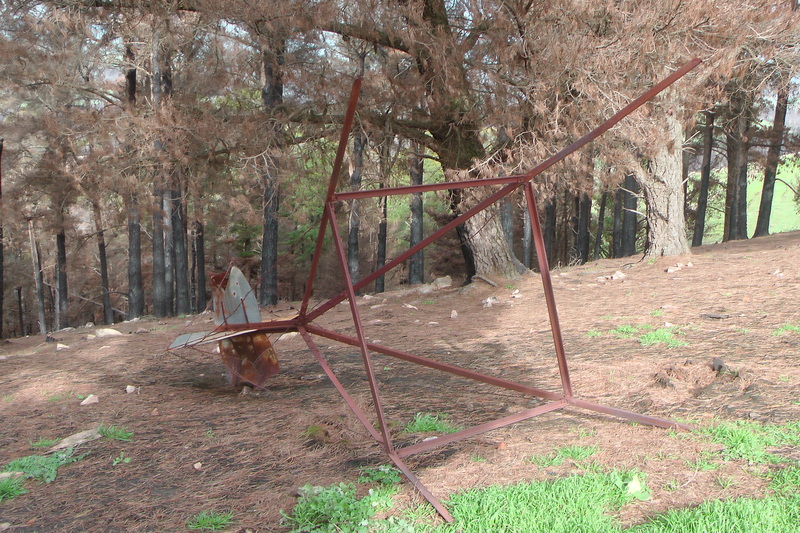 A further 9 mintes later I received a call from Tony VK3KKP from Castlemaine. Tony was running just 15 watts. Tony’s signal was a constant 5/7 and I received a 5/9 signal report from Tony. 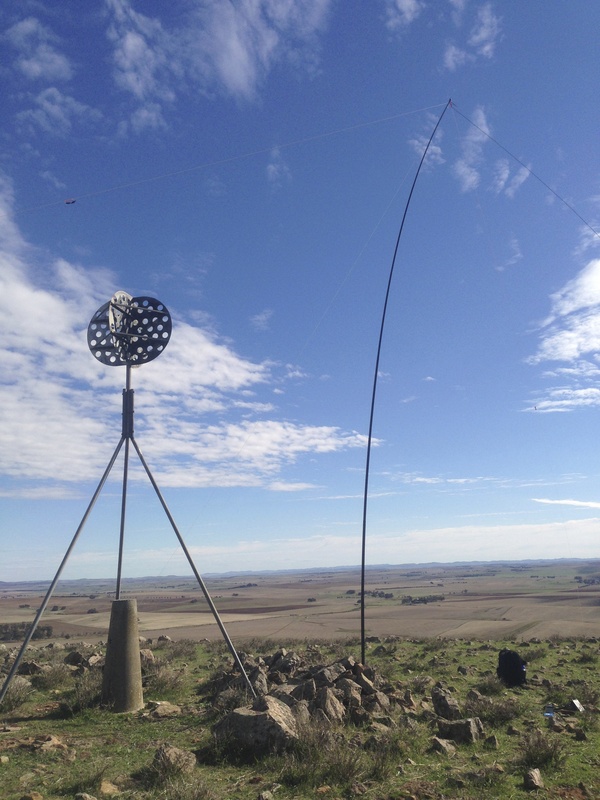 I also spoke with Bill VK5MBD from Red Hill in the mid north of South Australia, with his normal beautiful 5/9 plus signal. I don’t think I have ever spoken with Bill when his signal has been below 5/9 +. John VK5DJ from Millicent in the south east also called. John’s signal was an excellent 5/9 plus and I received a 5/9 from John. And yet 30 minutes earlier I was receiving 4/3 and 4/4 signal reports from the same geographical area. Another good contact was with Frank VK5KV who was mobile between Port Augusta and Port Pirie, on his way to a trap shooting meeting. My final QSO from Port Gawler was with Ian VK5CZ from Clare who had an excellent constant 5/9 signal. I received a 5/9 signal report from Ian. Whilst I was sitting back enjoying the day, quite a few kayakers paddled passed me. One of those was a young lad who had his fishing gear on board. He paddled up to me and asked if I was an amateur. 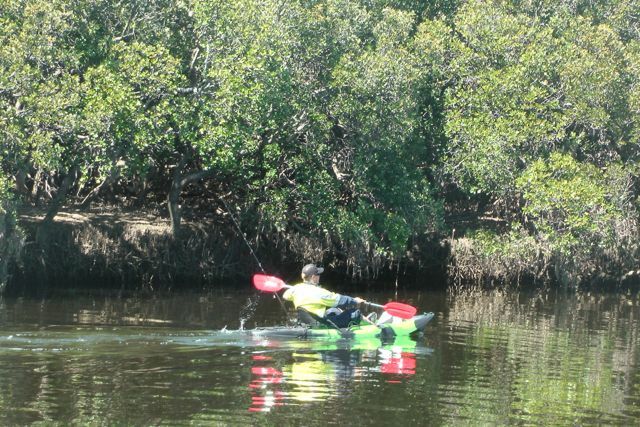 Apparently one of his mates has a licence, so he recognised that my squid pole wasn’t for fishing. Backing up my earlier comments about the state of the area, he advised that there was now very little fish in the area due to pollution. He stated that car bodies and general dumping of rubbish in the area, had significantly degraded the area. From what Marija and I saw of the area, it certainly does need a good clean up. I find it very sad how some people have a total disregard for their environment. There were quite a few 4WD enthusiasts in the area at the time. Some of those we witnessed speeding along the sandy flats with total disregard for their safety and that of others. I found a post on the internet that probably sums up the park and the area…..
Ian VK1DI/p; John VK5BJE; Col VK5HCF; Brian VK5FMID; Roy VK5NRG; Larry VK5LY; John VK2AWJ; Phil VK3BHR; Tim VK5AV; David VK5KC; Nev VK5WG; Andrew VK5KET; Ron VK3AFW; Bill VK5MBD; John VK5DJ; Tony VK3KKP; Frank VK5KV/m; and Ian VK5CZ. This was a very enjoyable activation under some unusual propagation conditions. It wasn’t until I got home and started to read some of the posts on the SOTA Yahoo group, that I saw that the band was in rather port shape. 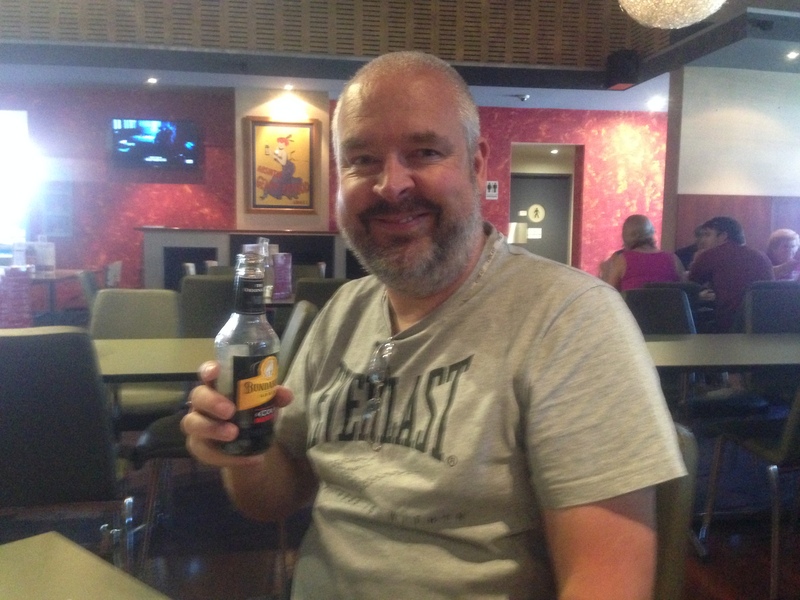 The day was finished off with a nice meal & a few Bundies and coke, at the Southern Hotel at Gawler. Thanks to Pieter, PA3FWM, today I have overcome the issues with the WebSDR system not working. For anyone not familiar, the WebSDR is a Software-Defined Radio receiver connected to the internet, allowing many listeners to listen and tune it simultaneously. It can be found at….. But as of January this year, there have been some problems. Oracle released Java 7 update 51, and with that update, using WebSDR receivers has become increasingly more difficult. But thanks to Pieter, and a bit of jiggling around this morning, the system is working fine again now. Please refer to the notes below….. 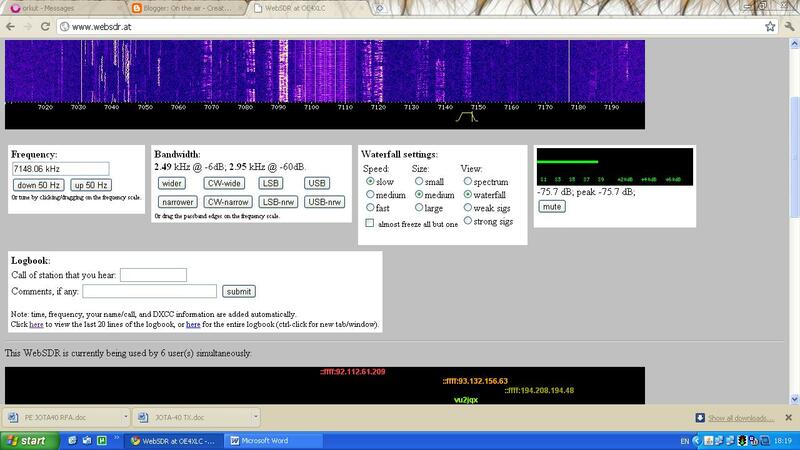 The WebSDR project has, since its beginning, used Java applets to play sound and show the waterfall display. These are so-called “unsigned” applets, which run in a restricted environment (called “sandbox”), where they cannot do any harm to your computer and thus are totally safe, in principle. On Windows/Mac, you can find this list by going to the system control panel or System Preferences and choosing Java (you may want to use the control panel’s search function); then choose the Security tab, and click on “Manage Site List”. Then there’s an “Add” button to add a URL to the list. Put the complete URL there, like http://websdr.ewi.utwente.nl:8901/ , so including the http part. At my own WebSDR site at http://websdr.ewi.utwente.nl:8901, I’m testing a WebSDR version which no longer needs Java but uses recent HTML5 features instead. There are still some problems with it, which is why I have not yet distributed this update to the other sites, but in due time, I will. However, it is not a total solution either: it doesn’t work on Internet Explorer, and generally not on older versions of browsers.